A gathering of people willing to learn the grace of the Lord our Savior, the bible, and how different groups of people can come together as one and share the same connection that could make a difference. FCA is a great way to meet new people, and understand the bible in a completely different way. 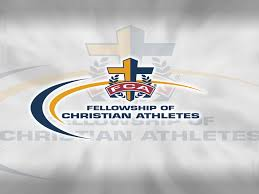 So, if you're a Christian or you're just starting to become a believer, come join us and see all the oppurtunites FCA has to offer you. You don't have to be an athlete to attend. Enjoy fellowship, A Bible message from Nick Richmond and we plan on some breakfast items donated by Chick-Fil- A. We will be meeting in the Lounge by the Wellness Center in the ETB. You don't want to miss this! All FCA notifications will be posted on Blackboard Announcements and the FCA Organization page. 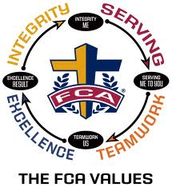 Visit the FCA website or just contact the FCA director.